BARNSLEY head coach Daniel Stendel believes that his side’s mental toughness and strength in adversity is proving the defining characteristic in their League One promotion charge. The second-placed Reds boast an impressive 19-match unbeaten league sequence stretching back to December 8 and can move eight points clear of automatic promotion rivals Sunderland if they beat Coventry on Saturday. With a new manager and style of play, we have done well this season and need to finish the job now. Stendel’s side dug deep to chisel out a priceless stoppage-time victory at Walsall last weekend – to maintain the pressure on the fourth-placed Wearsiders, who are five points adrift with two games in hand. Barnsley also hold a four-point lead over Portsmouth, in third, having played the same amount of games. Saturday was an occasion when the Reds, without the services of influential first-choice goalkeeper and captain Adam Davies, claimed a seventh successive clean sheet in a 1-0 triumph. 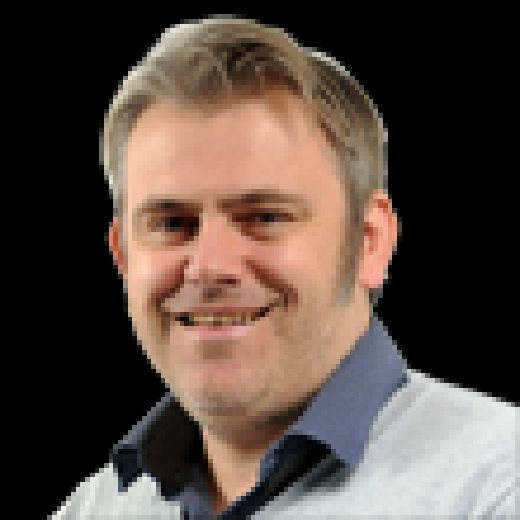 Should Barnsley record another shut-out, they will equal a club record of eight, previously set on two occasions – the last time being in April, 1955. The Reds’ feats are all the more noteworthy given that they have suffered major disruption already in 2019 with top-scorer Kieffer Moore and midfielder Kenny Dougall both sidelined for the rest of the season. A key absence in the first half of the season to another leading player in striker Cauley Woodrow represented another obstacle to the Reds, who also recently contended with the absence of suspended duo Cameron McGeehan and Jacob Brown for three matches apiece. Yet the issues have steadfastly failed to affect Barnsley’s quest to book an immediate return to the Championship, with Stendel quick to pay tribute to the mentality and drive of his squad, the second youngest in the third tier. Stendel told The Yorkshire Post: “Promotion is a big motivation and I hope we can achieve our goal. “Normally, a season (in Germany) is 34 games. Here, 46 games and the cup games makes it more than 50 games; it is a long, long season. “We have had difficult times such as the end of November where we did not win and then we were seventh in the table. All teams have some problems, but our strength is that we are a tight, close team who work together. “When we miss one, two, three or sometimes more players, the others come and work harder to win the games. “I like the idea of improving young players. But it is very difficult to have the feeling of a big family when you see that Adam Davies was the only player who played two years ago. “You need identity as a player – that this is a player from us. Yet in good and bad times, we go together. “Players need to come here and know what to expect. They must have a very good attitude and want to improve and want to play for Barnsley for a big chance to improve their careers. Both Brown, who scored the dramatic winner at Walsall and Williams, who made an outstanding goalline clearance when the game was in the balance at 0-0, provided telling contributions in last weekend’s win, as did Davies’s stand-in, Jack Walton. Making his first league appearance since October 13, the 20-year-old produced a fine showing to thwart Walsall – to provide the platform for Brown to take the glory with his late strike. It ensured that with seven games of the season to go, the Reds – enjoying their longest unbeaten run since 1980-81 – are in the box seat for promotion. Should that be achieved, it will represent a particularly rewarding moment for the Barnsley squad, the vast majority of whom were part of the side relegated to League One just under 12 months ago. Walton said: “No-one wants to get relegated. But, unfortunately, it happens and we have come back together as a team. “With a new manager and style of play, we have done well this season and need to finish the job now. “Saturday was probably the first game this season when we have scored a late winner. But you need that in a season. Sometimes, you might not perform as good as you want but we dug in and scored a crucial goal at the end. On the importance of keeping the pressure on Sunderland, who do not return to league action until next Wednesday night, the young custodian added: “They have games in hand but, at the end of the day, you want points on the board. We can only do what we can; we cannot affect Sunderland’s results or performances.